A huge trend you can expect to see this fall is fringe—it’s everywhere! Don’t expect only earthy tones this fall. Olive, navy & tan will have some colorful counterparts, like marigold & icy blue. I’m loving embroidery—a continuation of the bohemian trend we saw this summer. Even if you’re not a boho girl, try to put your own spin on it! An oversized cardigan in fall’s deep, rich colors is a layering dream. 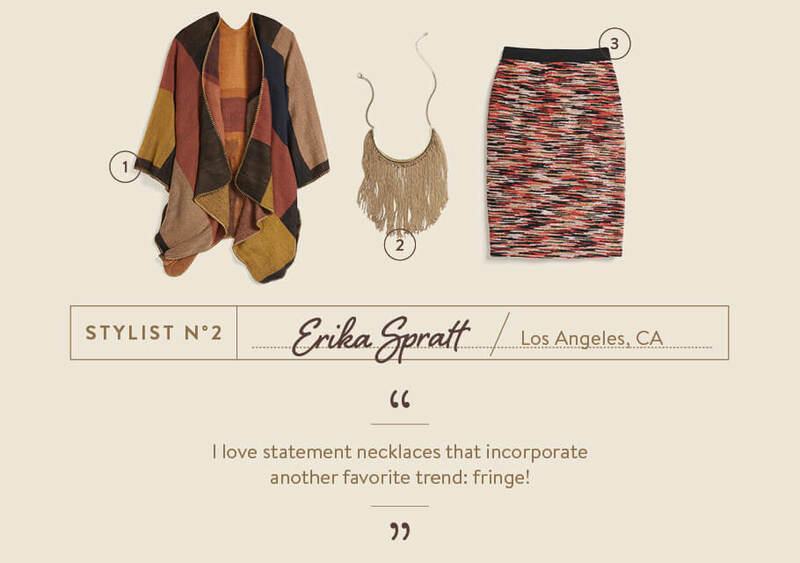 I love statement necklaces that incorporate another favorite trend: fringe! Pencil skirts in interesting fall textures—like space dye & cable knit—are the perfect option for your work wardrobe. Embrace a bit of menswear inspiration, like houndstooth-printed outer layers. 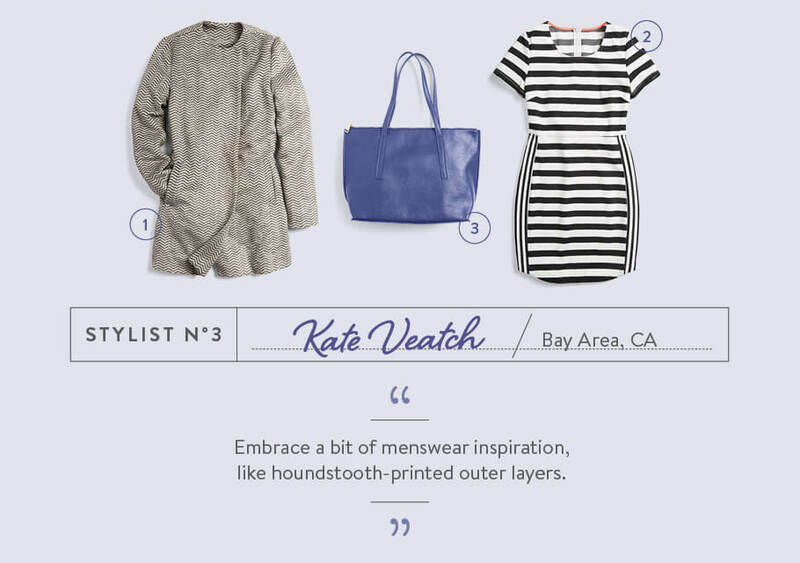 Interesting stripes that hit in just the right places are my favorite statement for fall! I’m having a jewel-tone moment. Fall’s deep colors are the perfect way to pop an outfit. 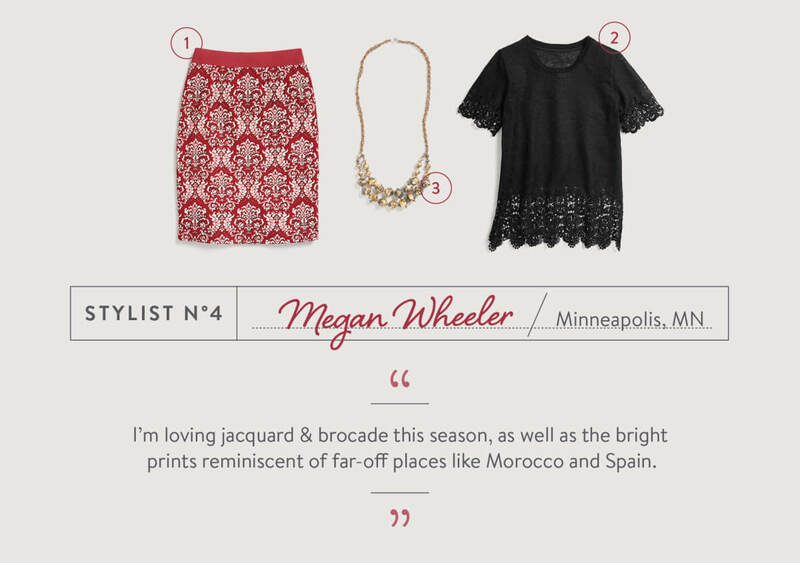 Jacquard and elaborate textures are huge for fall, especially on a pencil skirt that can transition from work to happy hour. Lacy, feminine details are a huge trend for the fall. They’re so fun to wear under structured layers! Bling is back in a big way. I can’t wait to send out chunky necklaces & bright statement earrings! 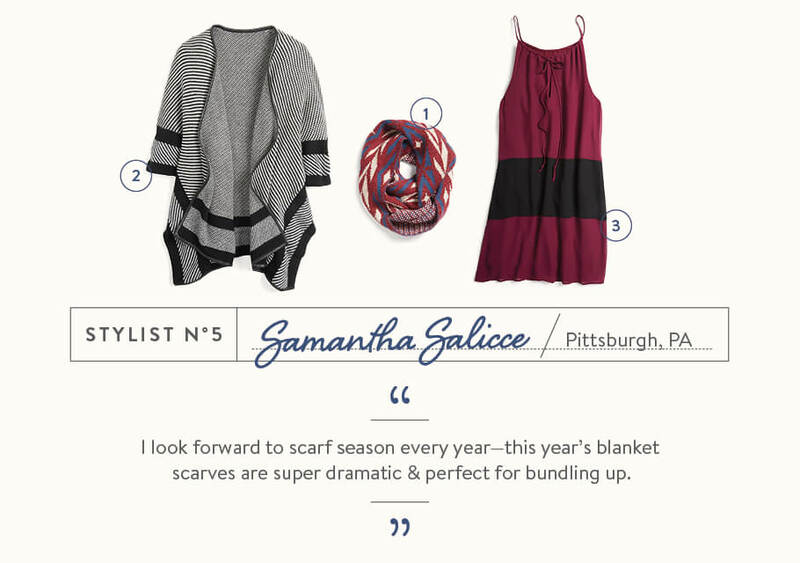 I look forward to scarf season every year—this year’s blanket scarves are super dramatic & perfect for bundling up. Draped, open cardigans are a must-have for fall. I love them with skinny jeans & booties! I can’t wait to send out rich fall colors in Fixes—especially jewel-toned colorblocking. 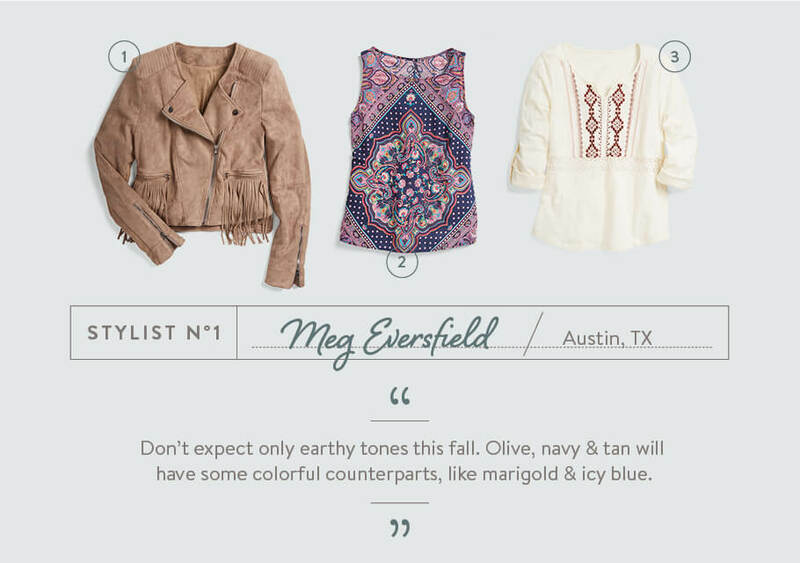 Love this fall preview? 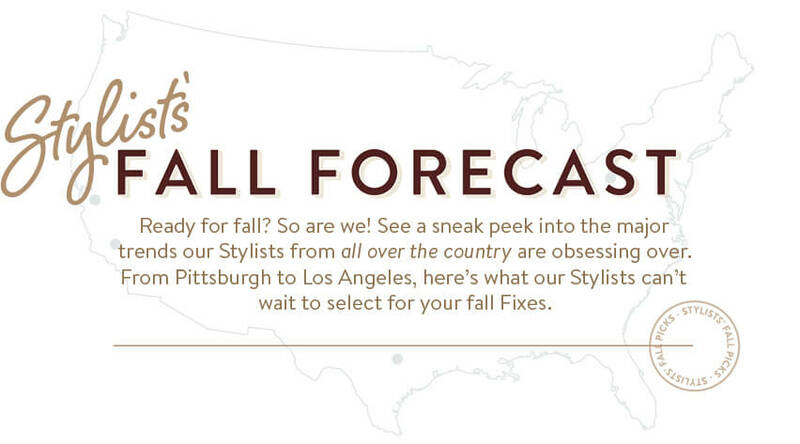 Schedule a Fix & ask your Stylist for fall pieces!